Be prepared for the unexpected with cloud backup and storage. It’s highly crucial for a business to secure all important data files. Protect and safeguard your crucial business data so that you can resume operations quickly in case of any unforseen event. 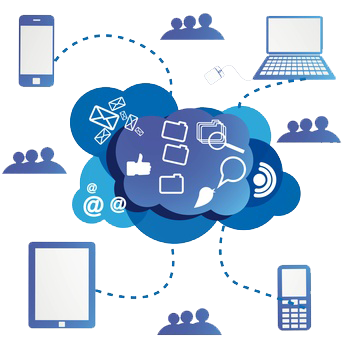 Storing your data on the cloud enables easy access and sharing of files anytime, anywhere. Talk to our experts at 1300 736 600 to learn more! Get your team working together efficiently with automatic file synchronisation. If you’re not in the office and need access to your files, that’s not a problem with online storage. Your files are accessible from your mobile device or any web browser. Just like your local or network drive, your team can share and work on files together through PC’s or devices connected to the internet. This is because with online storage, all files are in the cloud. Get industry-leading technology that allows users to synchronise files across multiple teams and workstations. File synchronisation means you’ll never work on an outdated document again. Even if you’re not in your office with online storage, you can access your files through a secure web interface on another PC or on your mobile device. All online storage files are automatically scanned to make sure they have not picked up any un-invited guests. Enterprise backup, restoration and security features help your business run smoother and are now at a price range you can afford. With automatic cloud backup, you’ll never worry about data loss again. Files are continuously backed up as they are changed. Restore an individual file or kick off a PC synchronisation within minutes. New PCs are easily synchronized within minutes. Our team is always here to help if you need us. The only people who can access your files are authorised by you. Files are secure with robust AES-256 encryption and admin-controlled keys while being sent and stored. Files that are changed can be synchronised within your network rather than over the Internet significantly reducing your Internet traffic. Our specialised team will set up your cloud online storage and backup to suit your business needs. You still have full control over how you want your files to be managed. Our data management consultants get you up and running by setting up your files in the way most suitable to your business. Advanced settings are available to give you full control over how your files are accessed, managed and backed up. Protect your most sensitive data by easily restricting files to those team members who should access them. Customise your backup solution by, selecting the data and frequency of your backup and deciding how you want your files backed up. Watch your business grow by empowering your staff to access and share internal knowledge with each other. The great wealth of knowledge contained in your staff members can be unlocked by making it easier for your staff to access and share that knowledge. Is your current data structure working for you? Is your team finding it difficult to locate the files they need? Our data management experts can help you put a structure in place that works for you and your team. Ever been out of your office and left an important file behind? With cloud online storage you can access information when you need it, regardless of where it is stored. We provide you with 24 x 7 phone, email and chat support. We are always here to support you when you need it.